De Varona Law is a South Florida law firm dedicated to serving the needs of professionals and small businesses in their litigation and transactional needs, including commercial and probate litigation. De Varona Law is a South Florida law firm that provides its clients personal attention and the highest caliber of legal services. Its founder, Alexandra Sierra-De Varona, has extensive experience in representing individuals, professionals, and businesses in commercial, probate, and construction litigation, as well as transactional matters. Her efforts have resulted in several of her clients obtaining multi-million dollar verdicts, or avoiding liability all together. In 2012, Mrs. Sierra-De Varona earned the Martindale-Hubbell AV Preeminent Rating. AV Preeminent is a significant rating accomplishment a testament to the fact that an attorney's peers rank her at the highest level of professional excellence. Mrs. Sierra-De Varona has also been selected by Super Lawyers as a Rising Star two years in a row. A South Florida Law Firm dedicated to assisting the transaction and litigation needs of individuals and small businesses. Ms. Sierra-De Varona has vast experience in prosecuting and defending businesses and employees. These claims include but are not limited to breaches of contracts, partnership disputes, breaches of fiduciary duty, defamation, officer/director liability, fraud, negligent misrepresentation, intentional interference with business relationships, creditor and accounting claims. Ms. Sierra-De Varona's skill and judgment can assist in obtaining an efficient resolution to your claim. Ms. Sierra-De Varona also has extensive experience in probate/estate administration matters, as well as probate litigation cases. De Varona Law is a South Florida Law firm dedicated to representing individuals in probate litigation matters. Ms. Sierra-De Varona prosecutes and defends lawsuits involving wills and trusts. Personal Representatives as well as Trustees owe a fiduciary duty to the beneficiaries of an estate/trust, and there are many statutes that they must follow. The advice of an attorney can assist these fiduciaries in complying with Florida's statutory requirements. Ms. Sierra-De Varona has successfully litigated cases involving the lack of a decedent's capacity to create a will, undue influence, demands for accountings, breaches of fiduciary duty, and negligence. Alexandra Sierra-De Varona was born in Coral Gables, Florida. In 1996, she graduated with her Bachelor of Science from the University of Florida. Thereafter, she attended the University of Florida, Levin College of Law. While attending the Levin College of Law, she worked as a law clerk at a local firm to pay for her education. After completing law school, Alexandra worked at an insurance defense firm. She handled constitutional, employment, and personal injury matters. As an insurance defense attorney she was able to avoid liability for her clients on numerous cases. She also drafted and prevailed in multiple appellate matters. Since then, Alexandra represents both Plaintiffs and Defendants in commercial, probate, constitutional, and construction litigation matters through trial and appeal. Her efforts in representing several Plaintiffs, have led to multi-million dollar settlements and verdicts. She has also been able to avoid liability for Defendants on many occasions. Her work in the courtroom has led her clients to retain her in drafting employment and partnership agreements, leases, wills, and trusts. She has been practicing in these areas for over a decade. Alexandra provides her personalized attention to every case she accepts. She partners with her clients to provide the highest caliber legal service available. She formed De Varona Law to ensure that all her clients have the ability to obtain high quality legal services in a cost effective manner. Prior to attending law school Spencer spent his undergraduate years at the University of Florida working as a management consultant. Spencer used his knowledge of the construction and environmental industries to best serve people requiring environmental management and restoration services. 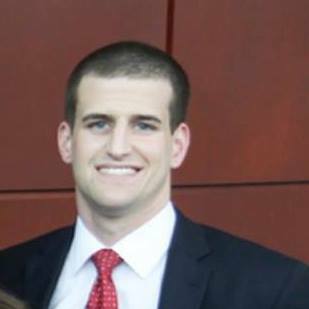 The interpersonal skills Spencer developed while working as a management consultant allowed him to transition into law school at the University of Florida Levin College of Law where he was selected to represent the school's Trial Team and Alternative Dispute Resolution Team. During law school Spencer served as a research assistant to Professor Darren Hutchinson in the areas of remedies and constitutional law. Spencer has handled constitutional, employment, and construction matters. He represents and advocates for individuals, construction contractors, and businesses in an effort to achieve the best possible outcome for his clients. Spencer is a member of the Board of Directors for Youth Environmental Alliance and the South Florida Aquatic Plant Management Society. Spencer enjoys boxing, kayaking, and spending time with friends and family throughout the South Florida area.